The MacDowall Bog contains more than 250 plants and animals in a relatively small area. 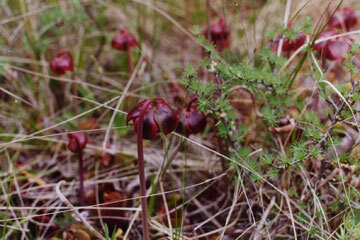 A unique feature of the bog environment is the numerous species of orchids and insectivorous plants located in one area of the province. This particular bog, located southwest of the town of MacDowall, was legislated as a “protected area” in 1997. This site is not easily accessible unless you have the proper vehicle and knowledge of the area. It is about a 45-minute drive from Prince Albert, or much longer if you don’t know your way. Nature Prince Albert and Nature Saskatoon offer tours to this sensitive site between mid June to early July. The walk through the bog calls for wearing old shoes and getting your feet wet, or using rubber boots and hoping you don’t step into a deep hole. Bird nests and frogs are popular with the younger visitors.